Barren lands, icebergs and a unique flora and fauna have been attracting more and more tourists to Arctic regions over the last decades. However, tourist numbers vary considerably across Arctic regions with related opportunities and risks thus spread unevenly across the North. “With increasing media attention on the Arctic over the past 15 years, more and more people want to see the region’s attractions before they are gone, resulting in an increase in so-called ‘last chance tourism,’” says Patrick T. Maher, associate professor at Cape Breton University in Nova Scotia, Canada and lead of the University of the Arctic Thematic Network on Northern Tourism. Increases in Arctic tourism numbers is also due to reduced barriers of entry, such as less sea ice and a more tolerable climate for longer parts of the year. Further factors are improvements in gear, infrastructure, technology and know-how, such as better geographical knowledge of the region, better navigational charts, more durable equipment, and better developed transport opportunities to and within the region. Such developments have made large-scale tourism such as the Arctic trip of the massive cruise ship Crystal Serenity in August 2016 possible. But all these factors play out very differently across the Arctic. Not least, the Arctic is a large area and a closer look reveals that tourists are distributed very unevenly among various Arctic regions. “The most visited areas are the most accessible ones, which are generally Finland, Norway, Sweden and Alaska”, says Maher. A relatively new player in the group is Iceland, which made a large jump over the last years, now attracting more tourists than the three northernmost counties in Norway. “Put in numbers, Alaska, Sweden and Finland attract more than 2 million tourists a year, while the Yukon (the top destination in Canada) only sees 200,000 tourists. To Canada’s easternmost territory, Nunavut, only around 15,000 tourists come each year,” Maher said. “The Nordic countries benefit from their closeness to other European states, good infrastructure and well-developed tourist offers and products,” says Marta Bystrowska from the Centre for Polar Studies, University of Silesia, Poland who is currently finishing her PhD thesis on Arctic tourism. “Also local tourism entrepreneurship is well-developed and has a long tradition in those regions, hence they perform much better in the tourism industry than rather new tourism markets like Greenland or Canada, where, especially for Indigenous communities, tourism is a rather new thing,” she adds. 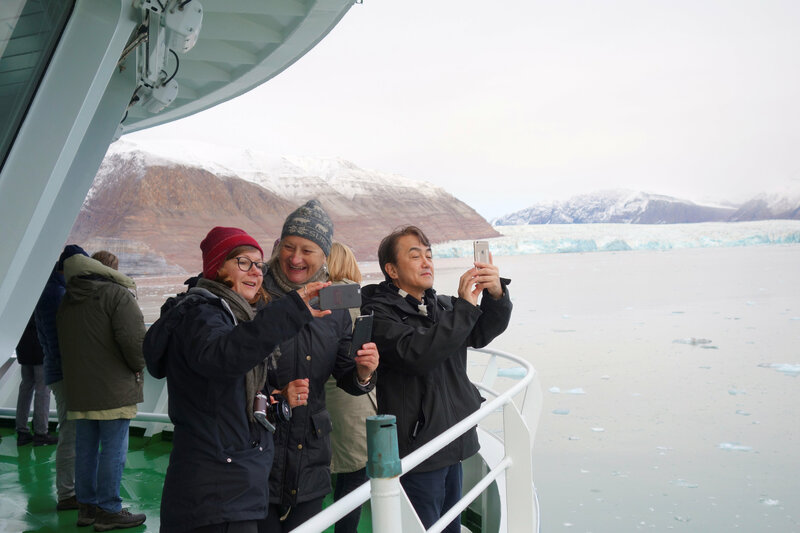 “The hot spot for Arctic cruise tourism is Svalbard,” Frigg Jørgensen, executive director of the Association of Arctic Expedition Cruise Operators, told High North News. “The archipelago is generally seen as a success story in high Arctic tourism development. It has the advantage of well-developed infrastructure and easy access by air from Europe that makes it relatively cheap to travel to in addition to its natural attractions like northern lights and polar bears,” Bystrowska explains. “The most crucial factors deciding if a region in the Arctic becomes an attractive tourist destination are nature and wildlife, cultures, ice, location and accessibility,” says Jørgensen. “Even being in the Arctic is an attraction itself, so belonging to the Arctic makes a location potentially attractive for tourism,” adds Bystrowska. A further plus is for a location to have many natural attractions in a relatively small area. A prime example is Svalbard, where on a relatively small territory we can spot polar bears, walruses, other flora and fauna, as well as calving glaciers and stunning landscapes, Bystowska explains. According to researchers, transport infrastructure is the decisive factor for Arctic tourism since it also significantly determines the necessary size of one’s vacation fund. Adventurers seeking extreme experiences like climbing icy mountains and hiking through wide barren lands usually spend large sums on gear and equipment, and also roads, ports and airports are less relevant for them. But these are only a small group of people, and the Arctic is indeed, like other regions, predominantly subject to mass tourism with travelers looking for relatively cheap and easy-to-access attractions. And infrastructure is just not the same across the Arctic. “In Canada’s Arctic, for example, there are many more tourists in Yukon than in Nunavut because the Yukon has road access while Nunavut has none”, Dr. Maher explains. “The most deciding factors if a region becomes a tourist hub are not increasing accessibility through climate change alone,” Ms. Jørgensen from AECO emphasizes. Also accessibility in regards to bureaucracy and costs for tour operators matters. For example, less ice will give rise to new possibilities in Canada and Russia, but there might be other, bureaucratic obstacles for development, such as cumbersome permit requirements and visa procedures. One may not forget that with tourism – and especially mass tourism with large numbers of people visiting remote Arctic areas – also a number of serious challenges arise. These range from increased environmental degradation by tourists putting extra pressures on land, wildlife and water; increasing waste disposal and pollution through increased airplane and ship traffic; risk of major accidents, especially of cruise ships and resulting environmental damage through oil spills; and conflict between local hunting and fishing practices and recreational activities. According to Maher, the growth of Arctic tourism will continue until destinations feel that it becomes too much of a burden for the local environment and society. Iceland, for example, now gets four times their population visiting every year. With increasing pressure on infrastructure, the housing market and the environment, this might spark a debate about the carrying capacity of Iceland as a tourist destination. Tourism is often said to be a sustainable form of development for the Arctic, since recurring tourists every season offer a more reliable economic outlook than exploiting finite natural resources subject to volatile global commodity markets. “However, tourism is not the panacea that by itself will solve all problems of a region,” Maher says. It has to be seen as just another form of resource use, which might be less harmful and extractive than other activities but can also become destructive if too many visitors exert pressure on local cultures and environments. “If managed well, tourism can bring great economic benefits to remote and peripheral areas but tourism needs to be one piece of a diversified economy,” he emphasizes. Like other economic activities, such as mining, also tourism is subject to a boom-and-bust cycle, thus communities need to make sure not to put all their resources and investments only in one development area. In sum, there is a lot to take into account when developing Arctic regions as tourist hubs. The currently unevenly distributed tourist numbers can provide lessons learned for regions striving to tap into the benefits of Arctic tourism by looking to established hubs as to what to adopt and what to avoid.